The verdict is in and it looks like Stamp-n-Stencil is a big hit! 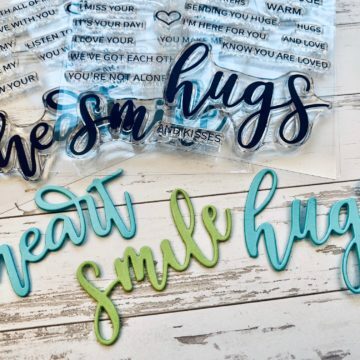 So big, in fact, that it’s sold out in so many places and we are waiting for ThermOWeb to get more stock in so we, and lots of other stores can replenish our inventory. Thank you all so much for your support of this new line! 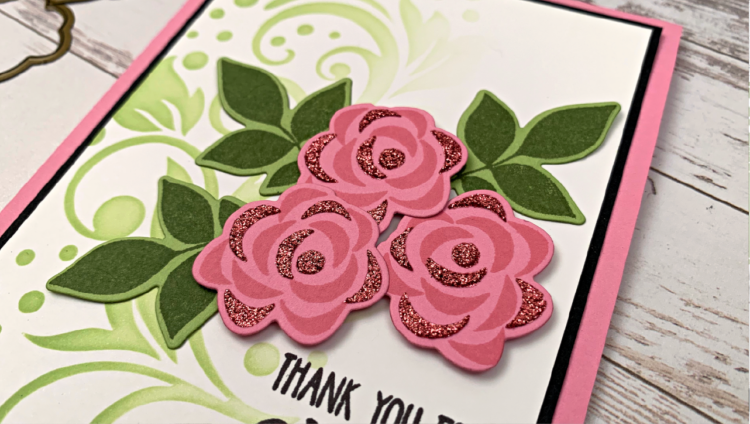 Although lining up the 2-step stamps and stencils are easy, one question I get a lot is how to line up the 2-step roses from the Petals and Wings set. That one seems to be the tricky one. So today, I made a video showing you how to do that. 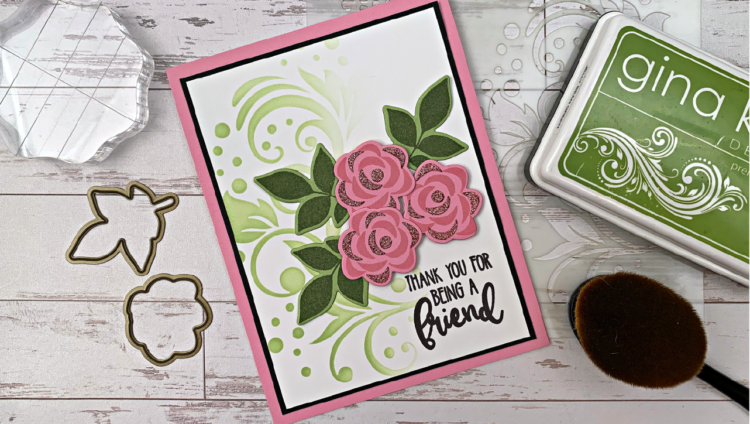 You can use this lining up technique with any 2-step and layering stamps, stencils and dies to make it easy each time you want to use them. This is the card from today’s video and I show you how to achieve this look as well as line everything up easily. For anything out of stock, click the notify me button and we will send you an email the second it gets restocked. More is on the way! I hope you enjoy today’s video and Happy Stamping! 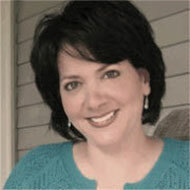 Gina, what a gorgeous card ! I Just love the technique and the color combination and the wonderful way you present it. I only wish I was 50 years younger (I am 90) and I would buy all the tools and products to copy this beautiful card, but I will try with what I have bought from you already which I love and use constantly. PS. you have the most gifted and talented designers and illustrators! I truly enjoy watching all of you. Beautiful card! Thanks for that tip; very helpful! 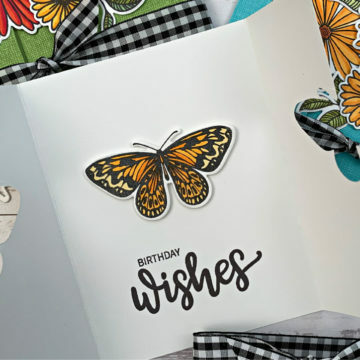 Love the stencil, stamp & die set and must add to my wish list!